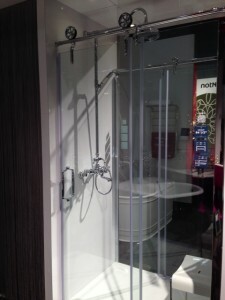 For those of you In The Know, ICFF is always much anticipated. For those others who Like to Know: ICFF is the International Contemporary Furniture Fair that is typically held in May at the Jacob Javits Center….but it’s not just furniture! Check out the rolling glass door hardware for the shower! 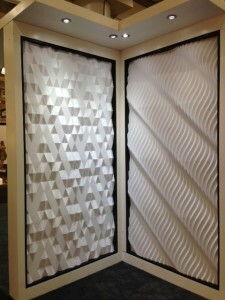 And have you seen the cool linear drains that are available? 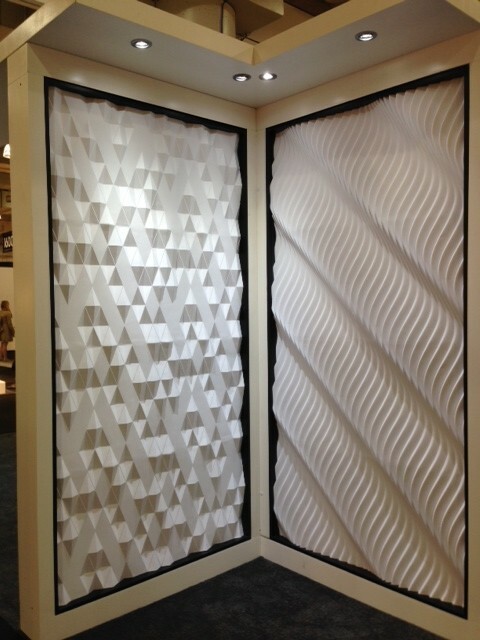 And here are a couple of great three-dimensional design panels. We love using these in lobbies and public spaces. 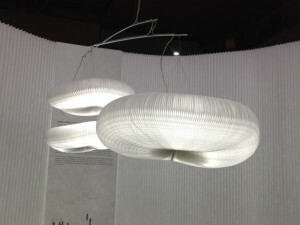 Last is a great light fixture: fun and lively!